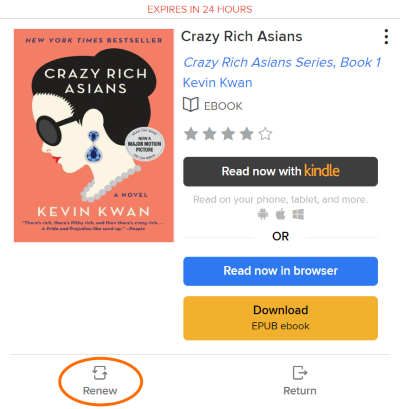 Note: Formats, titles, and features vary by library, so some of these changes may not apply to your library's digital collection. 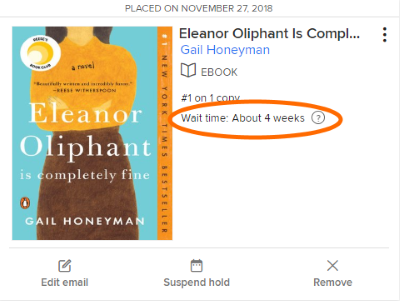 You'll now see an estimated wait time for holds on title details pages, your wish list, and your Holds page. To see more information, like your place in line, select . Renewing now extends your lending period for a title (instead of allowing you to borrow it again when it expires). As long as there are no holds, you can select Renew for a title on your Loans page (under ) three days before it expires. If the title has holds, you'll be able to select Request again instead to join the title's wait list. Take a short survey to share your feedback about these changes or your OverDrive experience.